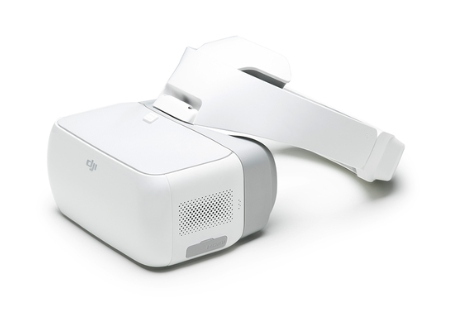 The DJI Goggles I got as part of my bundle with the Mavic Air Flymore Combo have now been in my ownership for about 10 months, but I still haven’t managed to complete a full flight with them. The last time I took them to the seaside, I had the Goggles powered up and plugged into the Mavic Air controller, but somehow they wouldn’t link. Due to the UK Drone regulations, you are actually required to keep the drone in sight at all times, hence the Goggles would in theory only be legal if another person wore them. What I have been using them for is to watch Amazon Prime Video while plugged into my laptop via HDMI cable. The headset is really heavy, but once set up, the picture quality is decent and battery life is also quite good. At full charge, I reckon that you can get through two full movies. Ideally, the Goggles could benefit from having two screens, one for each eye, and maybe removable battery packs. The battery pack is huge, hence the entire contraption has to be supported by the headband. The Goggles also have a micro SD slot on the left side by the headphone output, but I’ve heard that it’s not possible to watch content from the sd Card (except drone footage).